Patrice Tartt is a bestselling author, national blogger, entrepreneur, speaker, and the CEO of Patrice Tartt LLC. She is The Dream Big Writing Coachâ„¢ and coaches women who are new, aspiring, and seasoned entrepreneurs, speakers, authors and bloggers through the writing, pitching, and publishing processes. Patrice Tartt is known for resiliency and passion, topped off with a cherry of ambition. A graduate of both Fisk and Trevecca Nazarene Universities, she has always been motivated to reach higher levels while simultaneously motivating others to do the same. After facing the unexpected death of her father in 2011, Patrice was led to seek therapy through writing. Her therapeutic writing sessions led to the completion of her debut novel Wounds of Deception, which told a tangled story of hurt, anger, confusion, and healing. From there, Patrice started blogging, and began her journey as a national blogger. 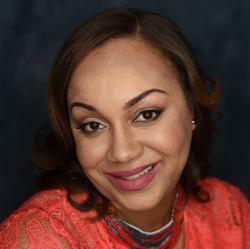 Patrice is based out of the Washington, D.C. metro area, and has been featured in Black Enterprise, Everything Girls Love, ESSENCE, BET.com, The Houston Defender, Examiner, The Network Journal, Publishers Weekly, and has been quoted in Parents Magazine and She Knows. She is also a contributing writer for Black Enterprise and The Huffington Post, and has contributed to Madame Noire, Everything Girls Love, Upscale Magazine, and Curly Nikki.